The European fruit industry is being threatened by a new insect pest from Asia, the Suzuki fruitfly. The species first appeared in the Netherlands in 2012, and has already caused tens of millions of euros of damage to country’s fruit industry. Pesticides have turned out to be ineffective, and are harmful to the environment. Other methods to combat the pest have met with equally little success. 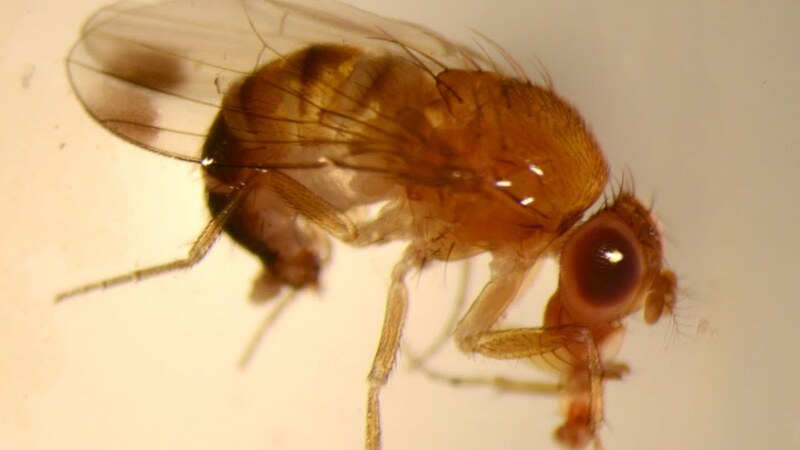 Biologist Bregje Wertheim has been conducting research on the Suzuki fruitfly as part of a consortium of researchers and private-sector partners with the aim of developing an integrated, biological pest control programme. Wertheim’s colleague in Groningen Leo Beukeboom is also involved, as are Marcel Dicke and Bert Pannebakker from Wageningen, the company Koppert Biological Systems and the applied research institute WUR-PPO-Fruit. The goal is to protect fruit crops and to stop the exponential growth of the exotic insect species.